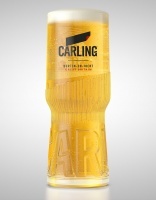 A Carling branded bar runner to protect the surface of your bar top. Genuine Carling branded item suitable for pubs and home bars. Fabric top with Carling printed image and rubber non slip backing to keep the runner in place. 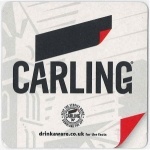 This Carling branded drip runner looks great on any bar!